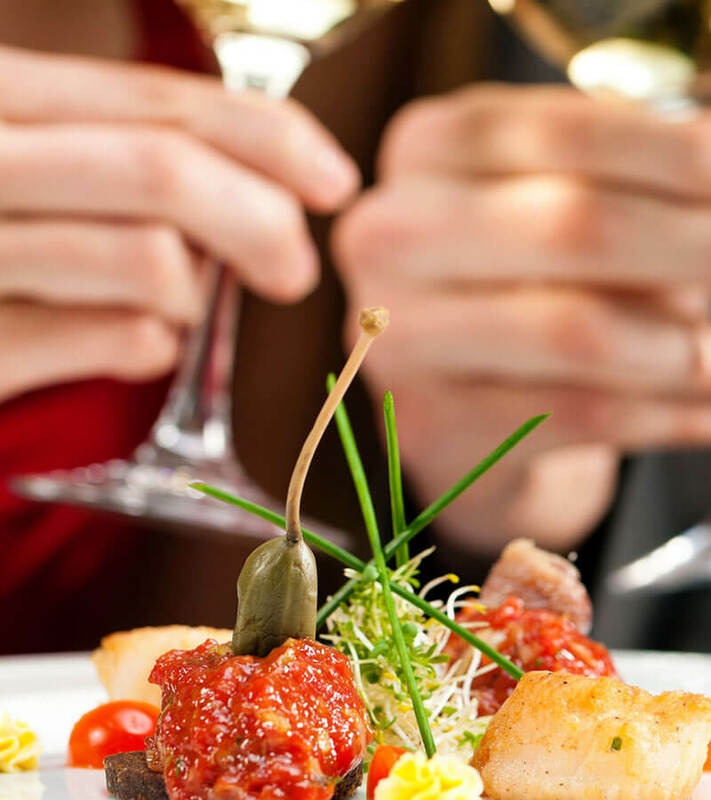 Stay with us and we promise: You won’t go hungry! 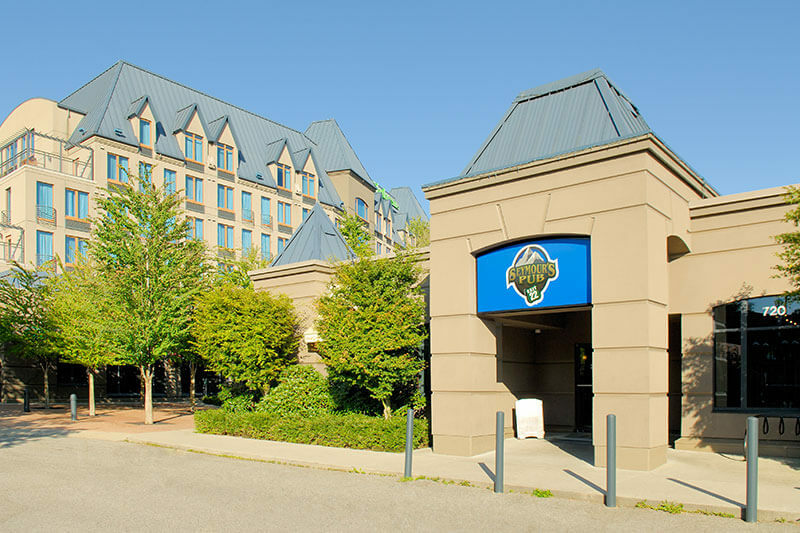 Holiday Inn & Suites North Vancouver is home to some of the area’s best pubs, including the intimate Churchill’s Lounge and the lively Seymour’s Pub. Families are now welcome in the Seymour’s Pub from 11am to 9pm daily. 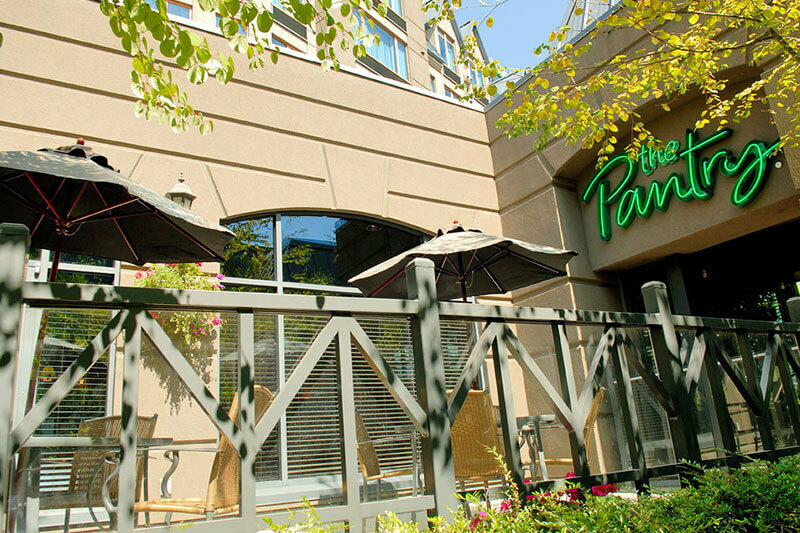 The Pantry Restaurant is a family-style casual restaurant open daily. 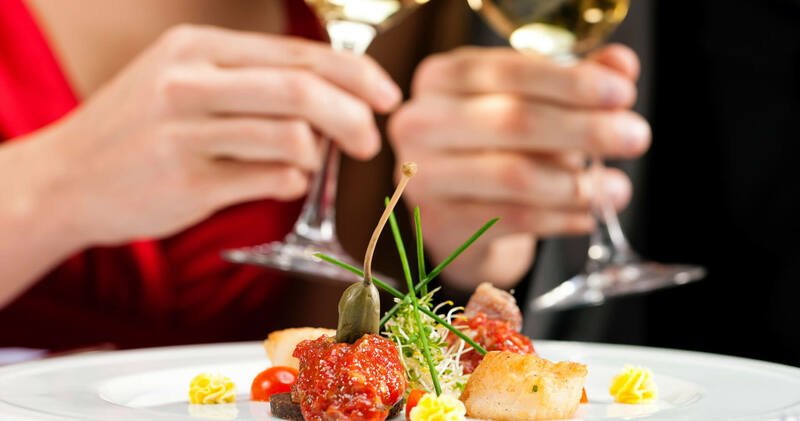 Just a few minutes from downtown Vancouver, our hotel also offers easy access to many of Vancouver’s top restaurants, as well as other great restaurants in North Van and the North Shore. Specializing in the art of brunch, The Pantry Restaurant onsite at our hotel offers an impressive selection of freshly prepared breakfast, lunch and dinner menu items, including a 25-item Sunday breakfast Brunch Buffet. The family-friendly eatery offers comfortable patio seating and is open from 7 a.m. to 9 p.m. daily, with breakfast served until 2 p.m. 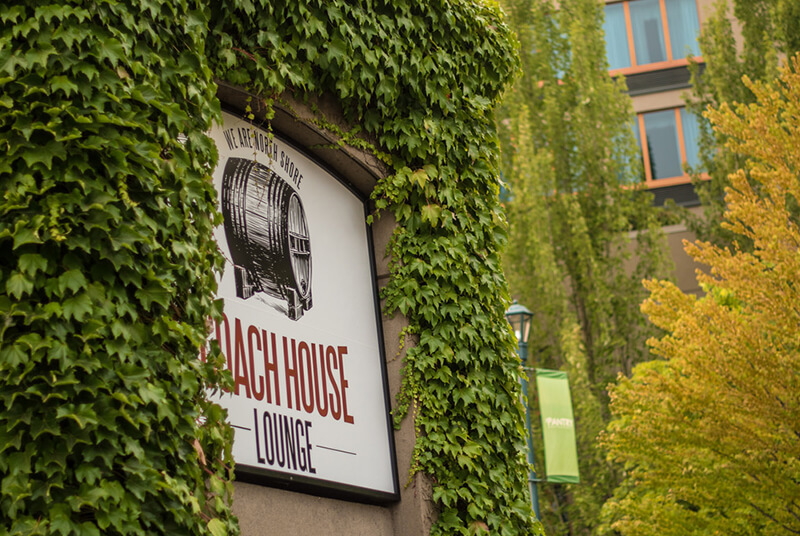 The Coach House Lounge is a new kind of neighbourhood bar now open at Holiday Inn North Vancouver. Come experience our eclectic den of local craft beers, classic cocktails, light bites, and your favourite records. Welcoming North Vancouverites and strangers alike with true hospitality and good times 4pm-late every day. For great food, fun drinks and awesome people all day long, head to Seymour’s Pub featuring live sports action, pool games, a heated patio, a creative daily menu and an inspiring drink list. Families and children (accompanied with adults) are welcome from 11a.m to 9 p.m daily. In the evening, the casual dining room transforms into a late-night high energy bar with a live DJ, entertainment and dance floor. Seymour’s Pub is open Monday to Friday from 11 a.m. to midnight, and Saturday/Sunday from 11 a.m. to 1 a.m. Adjacent to Seymour’s Pub is a Beer & Wine store open daily from 11 a.m.